This is a wonderful piece of writing and thinking from Frank. A wonderful piece of design, then. Melville’s masterpiece, translated into Japanese emoticons. All 6438 sentences. Made possible with Kickstarter and Amazon’s Mechanical Turk. An automated e-mail response reading in Welsh: "I am not in the office at the moment" is mistakenly put on a road sign. Bulletproof Ajax by Jeremy Keith on Flickr - Photo Sharing! 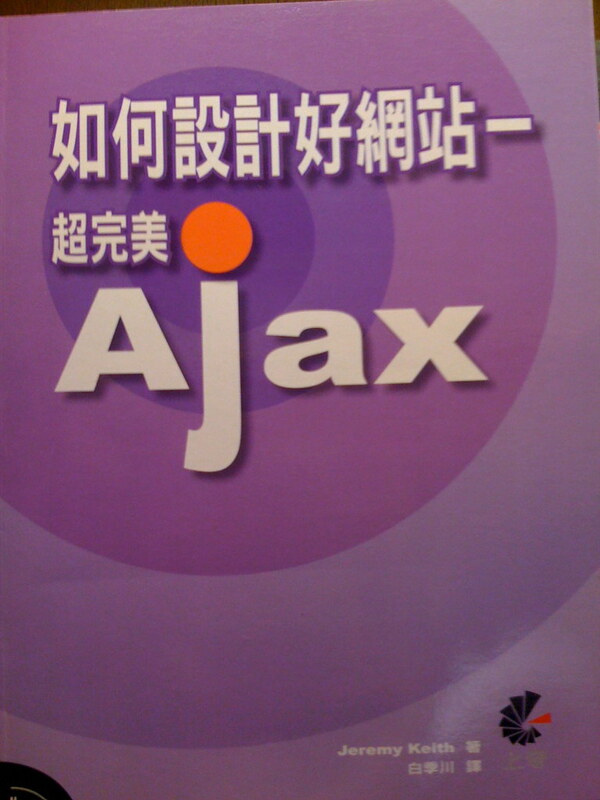 I guess there's a Chinese version of Bulletproof Ajax (nicely spotted, Nate). I would have thought this is exactly the kind of thing my publisher would want to tell me about. Magnifique! A French translation of my blog post about mashing up microformats.